Remember that white iPhone 4 Apple promised but still hasn't delivered? Google and Samsung surely do remember, and they launched an AT&T-compatible white Nexus S smartphone -- to show Apple how it's done. Due to frequency differences, Google's second attempt at smartphone design (in partnership with Samsung), was available only on T-Mobile and Sprint by now, or unlocked. But now, an electronics retailer is selling unlocked Nexus Ss with support for AT&T's 3G network (850 and 1900 MHz), in both black and white. The white Nexus S is not cheap affair, as it's not subsidized by AT,&T (with the usual two-year contract) and it's selling for $600. Besides the white back the AT&T-compatible Nexus S features the same innards as its black sibling: a 1GHz processor, 16GB of storage and a slightly curved 4-inch display. 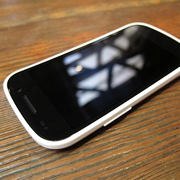 Engadget also got their hands on the AT&T compatible white Nexus S and published an extensive photo gallery. However, from the photos of the white Nexus S, the phone looks more like a black model with an unsightly white back cover on. Ugly or not, the Nexus S is available, something that Apple cannot brag about with its white iPhone 4. When the iPhone 4 was launched last June, Apple said the white model has proven "more challenging to manufacture than expected", delaying its availability until later in the year. 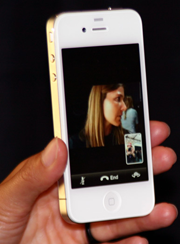 Almost a year later, we have seen a Verizon iPhone, but no sign, still, of the white iPhone 4. Apple is now even trying to erase the white iPhone 4 from our communal memories: reports indicate the company removed all references and images of the white iPhone 4 from its site. Perhaps Apple will make it up to consumers by launching a white and black iPhone 5 from day one, just like it did with the iPad 2.